For scuba divers, travelers and photographers alike, Raja Ampat is simply paradise on earth. A group of some 1,500 islands on the Western coast of Papua in eastern Indonesia, the name “Raja Ampat” literally translates to “Four Kings”, originating from a local myth. Located two hours by speedboat from Sorong, West Papua, with its pristine waters, lush jungles and teeming marine life, Raja Ampat will take your breath away. To put it bluntly, Raja Ampat is simply the most memorable travel experience I’ve had thus far. 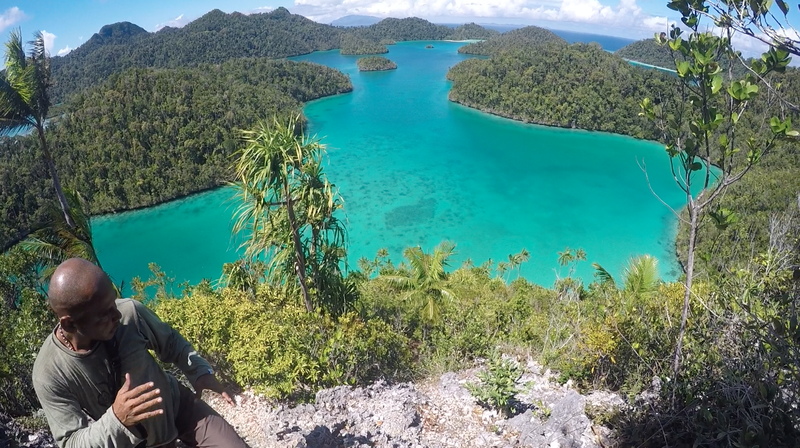 I had the pleasure of embarking on a 5D/4N adventure in Raja Ampat and Sorong last week with Tom’s Adventure. I traveled in a group of 14 people with my extended family—not only the more the merrier, but the more the cheaper the tour! 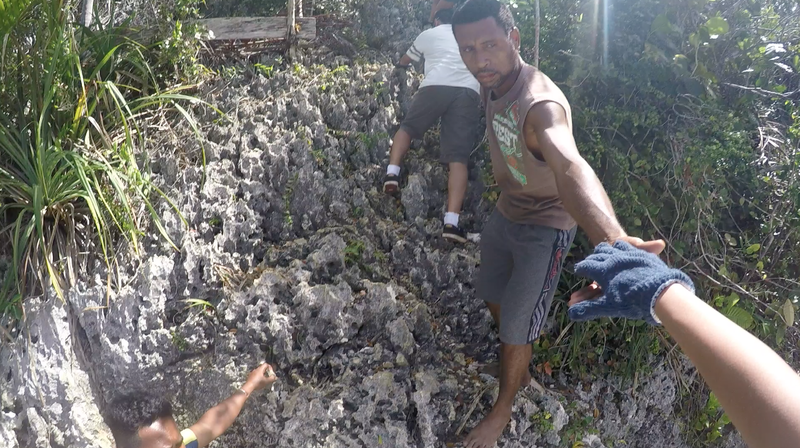 Going on a tour, in my opinion, is the way to go if you’ve never been to Raja Ampat. Raja Ampat is a group of islands scattered in the ocean, and not only does a tour guide show you all the must-visit places, but a tour also arranges transportation for you. You see, unlike land transportation, sea transportation is expensive. It’s freaking expensive. Renting a 20-person speedboat for a day can cost up to 9 million Rupiah (around USD 670 with the exchange rate as of this moment)! With a tour package, we had a 25-person speedboat to ourselves, along with a tour guide and a whole crew to help us along. 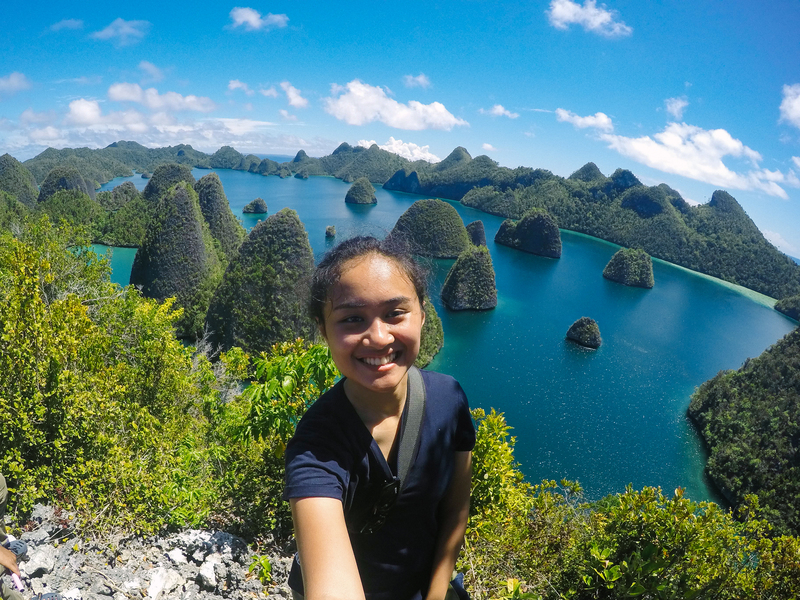 When I travel, I usually prefer to make up my own itinerary and in some cases just wing it, but trust me, a tour guide at Raja Ampat was really helpful. Now that I know more about the place though, the next time I visit, I would definitely prefer to go without a tour. Speaking of tours, 11/10 would recommend Tom’s Adventure! Before the trip, there was one major decision we had to make regarding accommodation: whether to stay in a resort, or a homestay. Resorts are, well, resorts. The staff will clean your room, cook delicious food, and you have a really nice living situation. A homestay, on the other hand, is managed by locals. The food is sometimes rather bland (or at least that’s what my tour guide says), the bathrooms aren’t as well-maintained and hot water probably isn’t as easily found. In the end, we opted to stay at Raja Ampat Dive Lodge on Mansuar Island. Of course, it was more expensive than staying at a homestay, but in hindsight, I’m glad we chose to stay at a resort. Our days were jam-packed and a nice resorts allowed us to get a good night’s sleep. I’ll be writing a whole other blog post on general travel suggestions (flights, accommodation, costs, scuba diving, snorkeling, etc.) in Raja Ampat, so keep an eye out for that! Our flight arrived in Sorong, West Papua, around 7 in the morning. 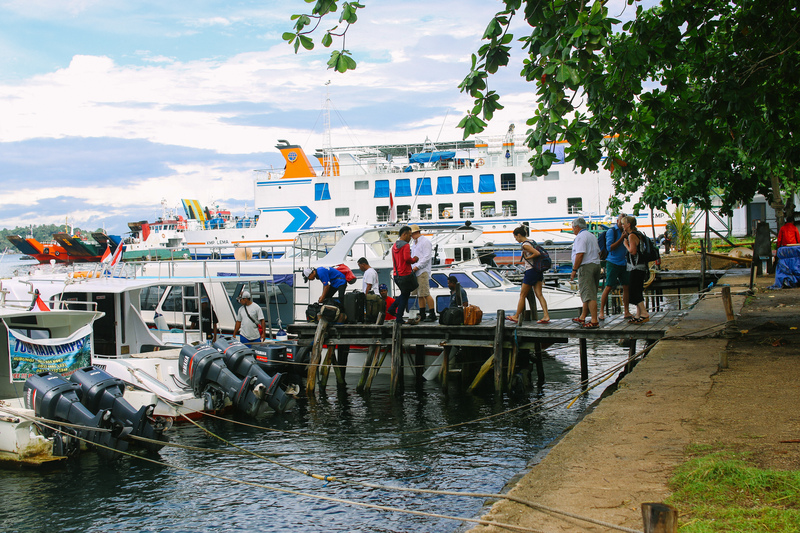 We had a quick breakfast at Phoenam Café in Sorong before heading to the docks to board the Maharani, the speedboat which we explored Raja Ampat with. The ride from Sorong to our first destination, Mansuar Kecil (lit. Little Mansuar), took roughly two hours. Mansuar Kecil had its own homestay, the Mankur Kodon homestay. The island is surrounded by a long strip of white sand beach, before the ground slopes down to make way for coral reefs filled with a diverse array of fishes. Some of my family members hadn’t been snorkeling before, so Mansuar Kecil presented them with the perfect opportunity to learn how to do just that. 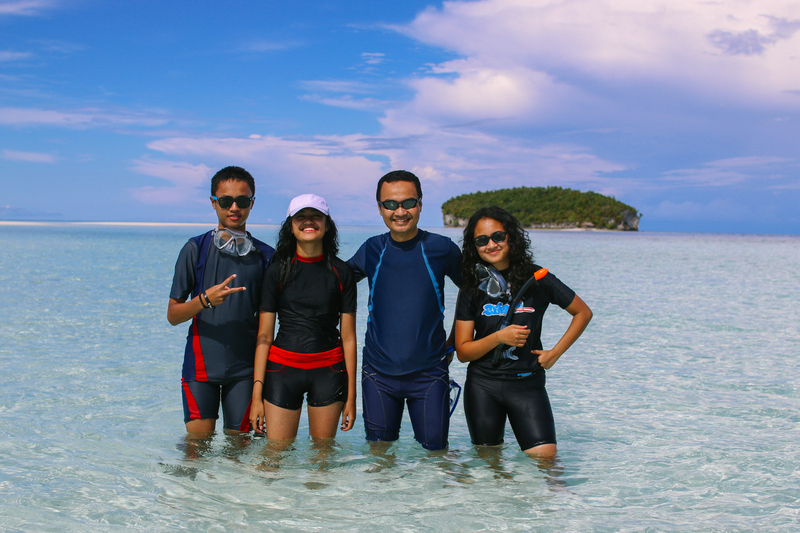 The water was fairly shallow (at least around Mansuar Kecil), and the water was incredibly clear. Compared to Kepulauan Seribu—which is where I took my scuba diving certification—the visibility at Mansuar Kecil was much, much better. The fishes present at shallow waters at Mansuar Kecil were mostly small-sized fishes, but I already thought it was amazing, so when James—part of the tour crew—said that this is nothing compared to the rest of Raja Ampat, my jaw dropped. Not literally, of course! Figuratively. Snorkeling at Mansuar Kecil. 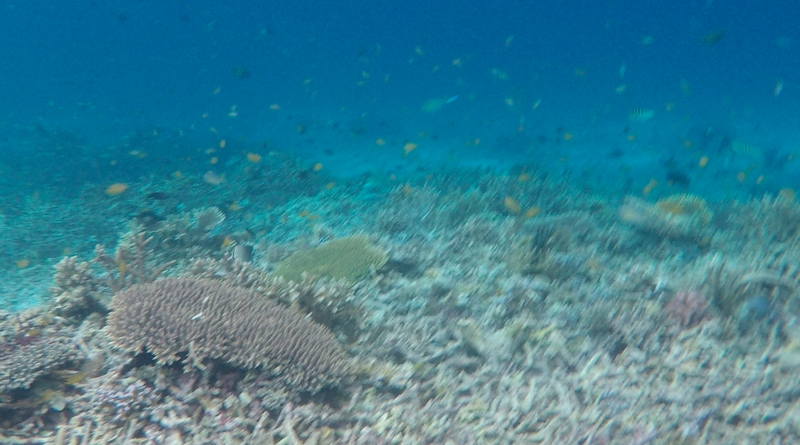 I think I need to up my underwater photography skills, haha! After an hour or so, the current got stronger and the sea started to recede, signaling time for us to stop for a lunch break. After lunch, we boarded the Maharani again and stopped at Pasir Timbul, our next tour destination. Pasir Timbul is a teeny tiny island located just slightly under the sea sea. What I mean by that is, when the ocean recedes, you see pretty white sand, and when the tide is high, Pasir Timbul is completely submerged under the sea. In fact, the name “Pasir Timbul” in Indonesian literally means “sand appears”. The fact that this island appears and disappears makes Pasir Timbul a unique travel destination, but it also makes Pasir Timbul hard to visit, because visiting the island has to be perfectly timed with the tide. From left: my brother Adam, my sister Nadia, my dad, and me! We ended the day with some snorkeling around Mansuar, which is where our resort is located. The snorkeling absolutely did not disappoint! 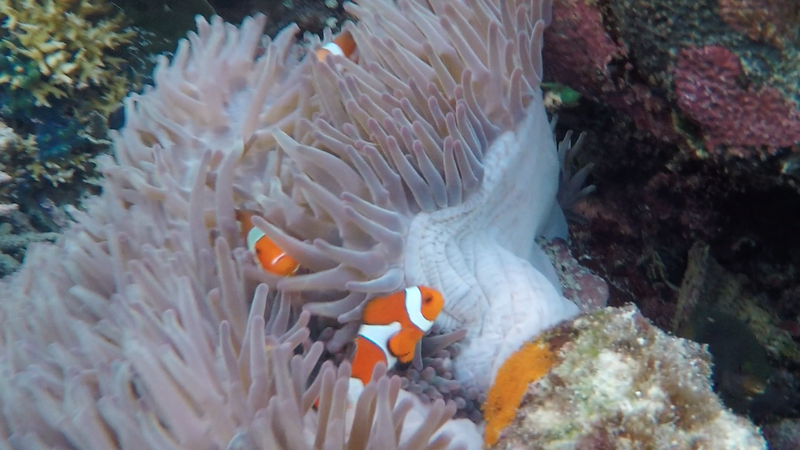 I saw a pair of Spinecheek anemonefish (often called clownfish, or more popularly known as Nemo) and a lionfish within 15 minutes. Unfortunately, the tide got stronger as sunset approached, and after about 40 minutes of snorkeling, rain fell. Really heavily. The rain, combined with having to swim against the current made the situation rather challenging; my uncle even had to be rescued by our crew! I suppose the rain didn’t really made things much worse physically speaking, but it probably made it worse mentally and psychologically speaking. Regarding the snorkeling at Raja Ampat, what I’ve heard is that it offers some of the best snorkeling in the world. Oftentimes, in order to see pretty coral reefs and fishes, one has to scuba dive to certain depths. However, Raja Ampat offers world-class snorkeling even at shallow depths. I definitely agree with this—the snorkeling was spectacular and even my family members who weren’t certified divers were able to enjoy the underwater scene just by snorkeling. The image that pops up when you google “Raja Ampat”is a breath-taking view of the turquoise and cobalt colored sea meshed with lush jungles on top of karst islands surrounded by untouched beaches. 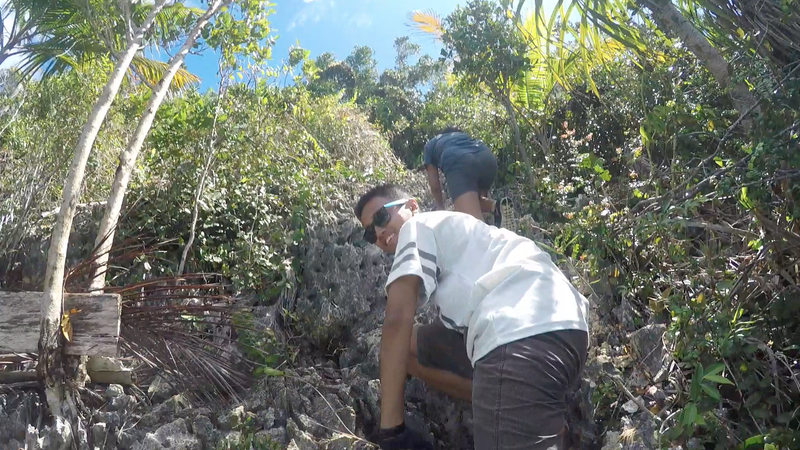 Next to diving, hiking up the mountains of Wayag is definitely the most iconic thing to do while in Raja Ampat. Wayag Island itself is located in the northern part of Raja Ampat. 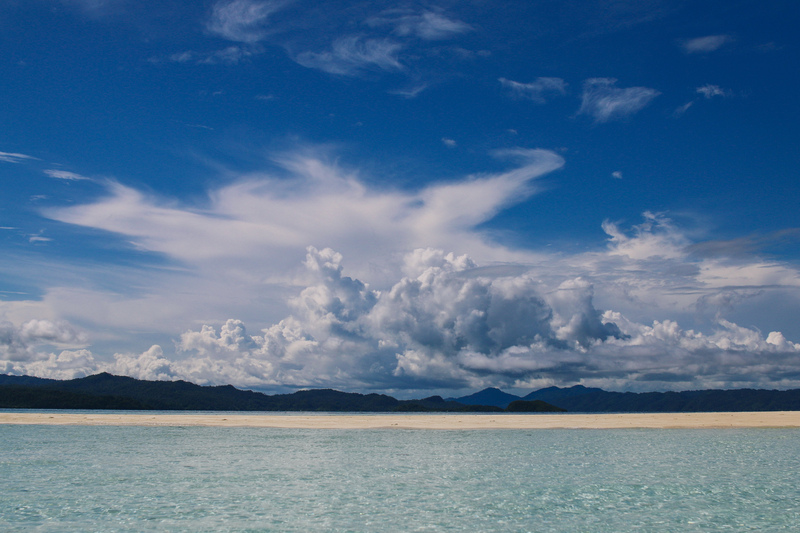 It takes about three hours on a 25-person speedboat from Mansuar Island to reach Wayag, and that’s on a good day. On a bad day, Maharani’s captain told me it can take up to five hours. The ride to Wayag was thankfully quiet and peaceful, although the ride back from Wayag was a lot tougher than I had anticipated. At times during the ride, the Maharani bumped up and down on the strong waves, and it felt like riding a roller coaster. I accidentally scraped my shin under the chair, leaving a slight cut. The journey was definitely worth the view though. 10/10 would recommend, definitely a must-visit while in Raja Ampat, apart from the diving. On Wayag Island itself, there are actually two main mountains tourists often go up to see the scenery. The first mountain makes for a much easier hike, but longer hike time. The second mountain on the other hand, was a very steep hike (you actually have to get on the rocky limestone mountain directly from the boat), but the hike takes half the time and presents you with a much more spectacular view of the coves and atolls surrounding Wayag. Most of my group (excluding the older people) were in pretty fit condition, so we opted for the second hike, and oh boy, the view absolutely did not disappoint. I’m sure the view from the first mountain is great, but this one’s even better. 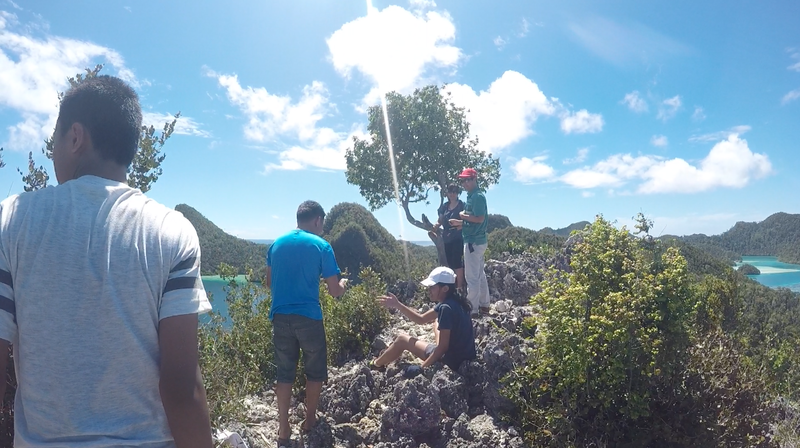 Besides, knowing that those famous photos of Raja Ampat were taken from this spot fueled my desire to hike up the second mountain even more! It was a pretty steep hike! Let’s take a moment to admire the scenery, shall we? The turquoise color of the water never fails to warm my heart. Yes, probably gotta up my selfie game too.. Spectacular, breath-taking, jaw-dropping view atop Wayag. With the big distance spanning between Wayag and many popular accommodations, the trip to Wayag can get pretty pricey. An alternative to Wayag is Pianemo; I’ve heard it’s like a mini Wayag. The small hike is also made easier with the wooden stairs. Of course, if the opportunity presents itself, I would highly suggest taking the trip to Wayag. It might be expensive and time-consuming, but you get a world-class view of one of the most spectacular and iconic views of Indonesia. Conservation International (CI), as the name suggests, is working towards conserving marine life at Raja Ampat. You see, coral reefs take ages to grow. And by that, I mean that 1cm of reef takes 10 years to grow. 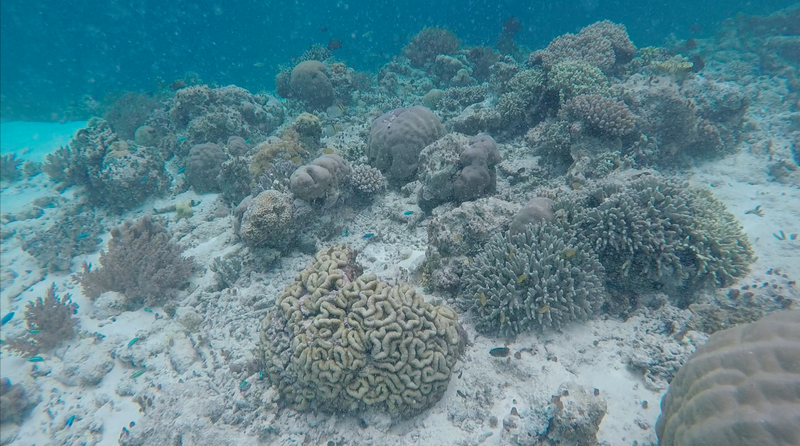 If a tourist comes and breaks 5cm of coral, then that means another 50 years of waiting before we can come back and appreciate the beauty of the corals. As the moniker “Last Paradise” suggests, there are many other “paradises” in Indonesia (and the world in general), but with the high influx of irresponsible tourism, many of these paradises have been ruined. 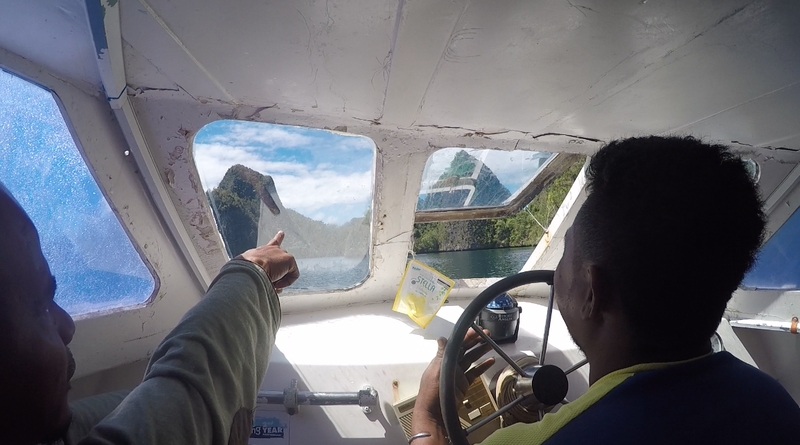 The sheer difficulty needed to get to Raja Ampat, although slightly annoying, has also prevented tourists from coming. This is good on the other hand, because it also prevents overdevelopment of the area. 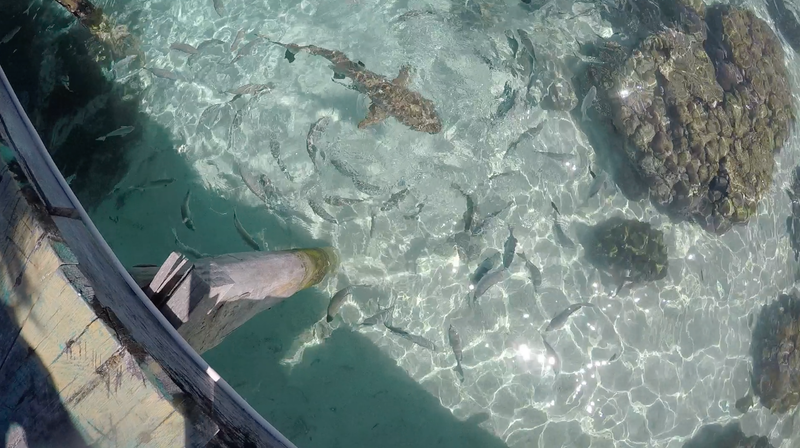 One super awesome thing about CI is the fact that there are baby sharks hanging out by the docks. When I say baby sharks, I mean like 1.5m long white sharks swimming around the docks. They’re totally harmless though. I myself managed to get within 2m of one while snorkeling! 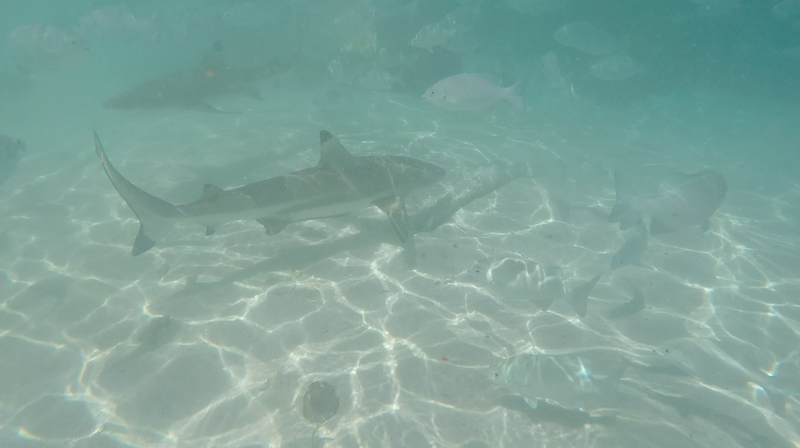 Kinda freaked out seeing sharks this close, but hey, they were pretty harmless! When we got back to Mansuar, we went snorkeling by the docks again and managed to spot a turtle! It was a shy turtle, so both times we got to see it, it swam away. Stay tuned for my next blog post, The Last Paradise II!